The Invictus Games closed Saturday night with a celebration of spirit, an emphatic dose of classic rock and an official handover to the 2018 hosts from Sydney. 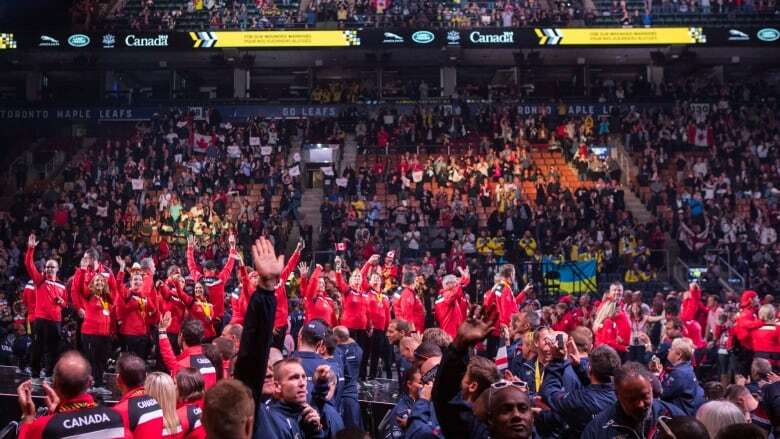 The week-long event, aimed at helping the war wounded with their recovery, was capped with a two-hour closing ceremony at Air Canada Centre in Toronto. 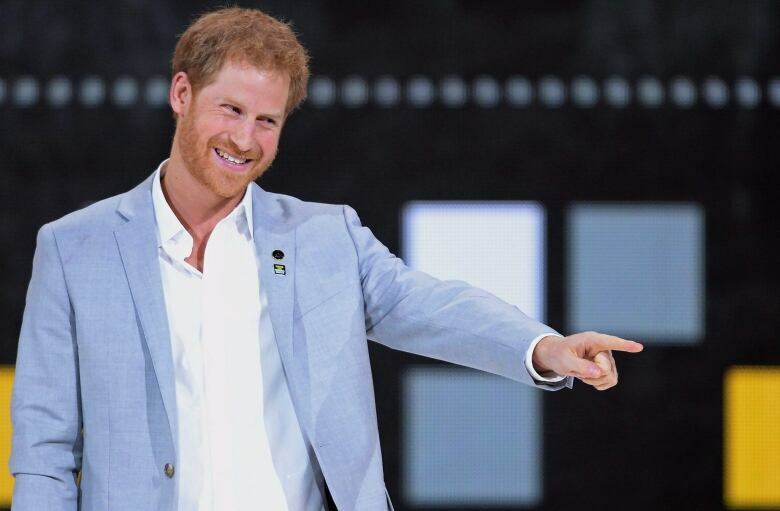 Prince Harry, who founded the games in 2014, took to the stage Saturday with a message of inspiration rounding out the one he delivered at the opening ceremony a week ago. "Let me issue you a challenge," he said. "Don't just move on from these games with happy memories. Instead, make an Invictus goal for yourselves." "Let the examples of service and resilience that you have seen inspire you to take action to improve something big or small, in your life, for your family or in your community," the prince said. "It doesn't matter how big or small your step is — just take it." Harry also recounted some of the Games' most memorable moments, which included Team Georgia, who'd never played the game of sitting volleyball three years ago, battle their way to the gold medal. They also saw competitors from Ukraine, Denmark, Romania and the U.S. band together to form Team Unconquered to win a sitting volleyball game with teammates they'd just met. Earlier in the evening, Canadian Prime Minister Justin Trudeau's wife, Sophie Gregoire Trudeau, handed out participation medals to competitors on the arena stage before the start of the ceremony. "Thank you from the bottom of our hearts," she said, taking the stage. "As a mother, I can barely begin to understand how you managed to overcome what you have seen or experienced but when we come together as human beings, our resilience can make everything possible." Gregoire Trudeau sat beside Prince Harry, who earlier presented a medallion to each team captain after the 17-country parade of nations. Harry's girlfriend, Meghan Markle, watched the proceedings from a private box. pirate, Kelly Clarkson and Bachman & Turner performed between speeches. 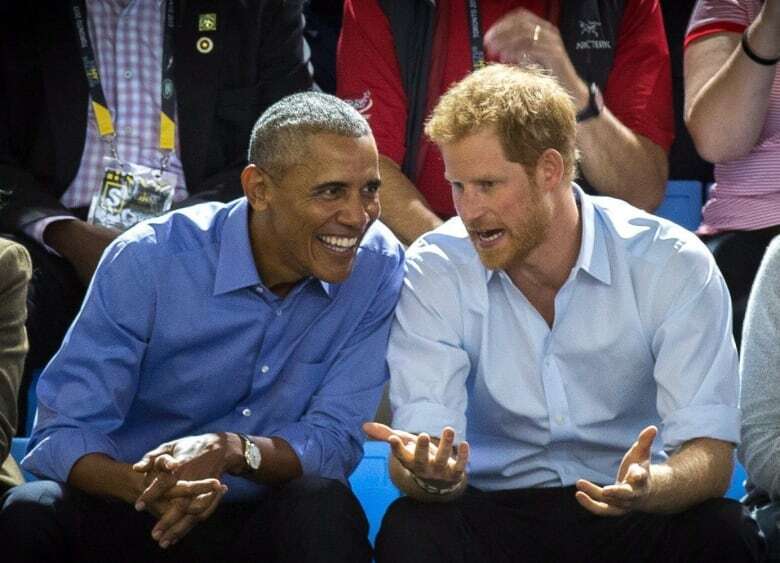 Throughout the week, Prince Harry made appearances around town, and generated plenty of buzz when he and Markle, a Toronto-based actor in the legal drama Suits, made their public debut as a couple at a wheelchair tennis event. 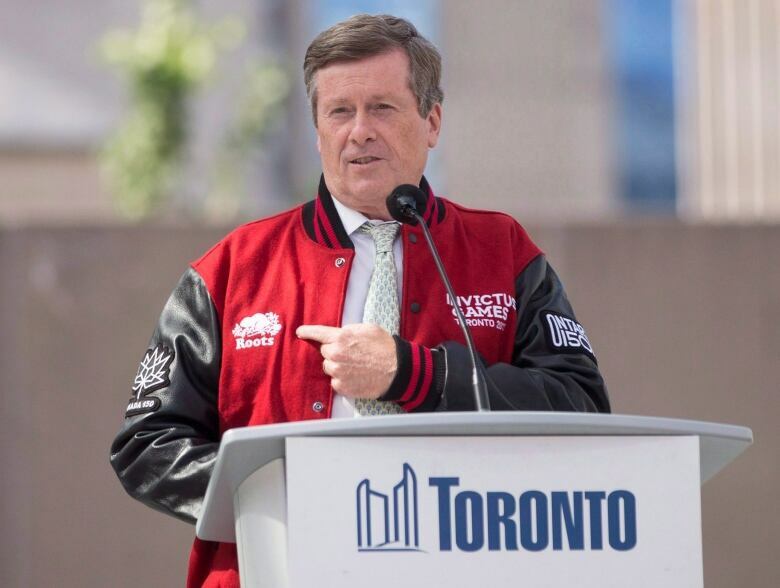 Earlier Saturday, Toronto Mayor John Tory said the Invictus Games have been "magnificent" and the city was pleased to host the week-long event in which wounded, ill and injured service members and veterans competed in several sports. "If you look at it any which way, the stories are so inspiring," Tory told CBC News Network on Saturday. Tory said the games benefited not only the city and its residents, but also the athletes who, coping with injury and disability, used the competition in their recovery from the scars of war. More than 550 athletes from 17 countries took part in 12 sports. "And you talk to the relatives, which I had a chance to do sitting in the stands, and they talk about how important this has been, both the act of participating in these games, but also the encouragement that they had from the people who came out to cheer them on, and how much of a difference it has made in their lives, where they were traumatized by what had happened to them. And this is making a difference to them coming back," Tory said. "What kind of a great news story is that?" Toronto residents embraced the games and supported the athletes, he said. The city donated use of its venues, including the Pan Am Sports Centre and Nathan Phillips Square, for the Games. "The response has been magnificent," he said. Many seats were filled at venues after the games began, he said. "There has been great support for it." Asked if the city will lose money on the games, he said: "It doesn't matter." Tory said the games have helped to draw people to Toronto and enabled the city to give back. "Whatever we invested was a good investment and it goes beyond dollars and cents. This was a great investment in humanity and in supporting these people who served our countries and protected our way of life and suffered injuries and disabilities because of that. It was a very, very good investment in people," Tory said. "You don't measure it in a loss. They're not meant to be run at a profit." Tory praised Prince Harry for founding the games in 2014 and said his appearance at various sporting events has motivated a lot of people to attend the games. "He's been right in there," he said. Dr. Celina Shirazipour, a post-doctoral fellow at Dalhousie University who has been studying the role of adaptive sport in the care and support of ill and injured military personnel and their families, said the event has given competitors some public recognition and the chance to represent their countries again. She said she has been studying the healing power of the games. After evaluating past and current Invictus competitors from different countries and backgrounds with various injuries, her early findings are that the games are a "transformative experience" for those involved and enable participants to rejoin what she called their "military family." Having new goals can help a soldier's mental health and dealing with wounds, some of them unseen, is how recovery starts to happen, she said. "The games are a gift for competitors in their recovery," she said in a news release. "The long-term benefits of Invictus allow competitors a return to self." The 2017 Invictus Games kicked off on Sept. 23, and the Canadian team was composed of 90 veterans. The word Invictus means "unconquered" in Latin.